Choose how others contact you thru “Preferences” under the Main Menu. 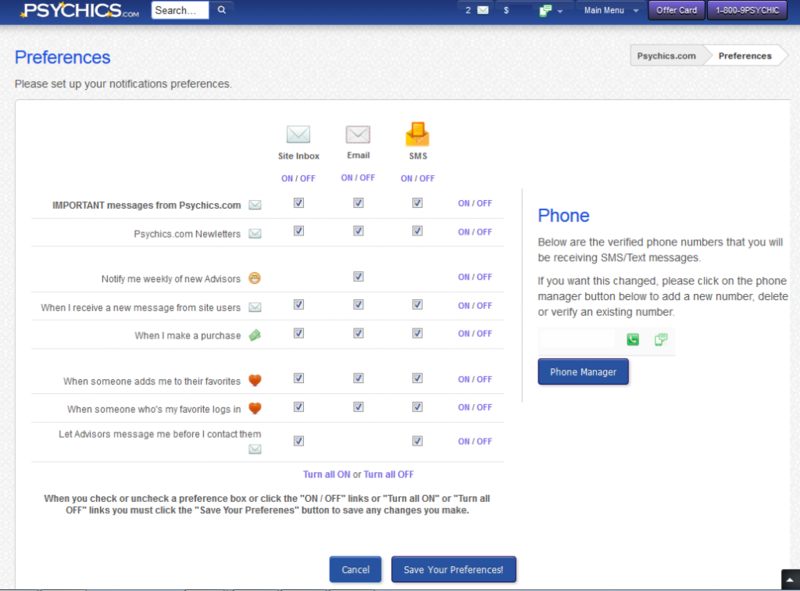 Messaging options for Psychics.com’s Notification Preferences. You can opt for Psychics.com messages only, personal email only, or both. You can also choose to receive a personal email notification when new messages arrive in your inbox.